Video games are not responsible for the mass killing in Tucson, Ariz. a week ago. But the suspect's deranged ramblings in an online game's forums put them in the spotlight. Gamers have, justifiably, long mistrusted their portrayal in these stories. The blame script is exceedingly familiar to the community by now, and it's propagated by opportunists and a mainstream media with an often facile view of tragedy. The simple fact is Jared Lee Loughner's rantings on the Earth Empires forums provides a deeper look at a rancid mind well past its expiration date. That's why games are in the news, not because this was some digitally practiced rampage come to life. Earth Empires is a real-time strategy game, not a shooter. But let's also not pretend that games have been made into a scapegoat on the level of conservative Americans, Sarah Palin, gun rights advocates, opponents of healthcare reform or others who have been insinuated as encouraging this kind of violence or at least tolerating it. 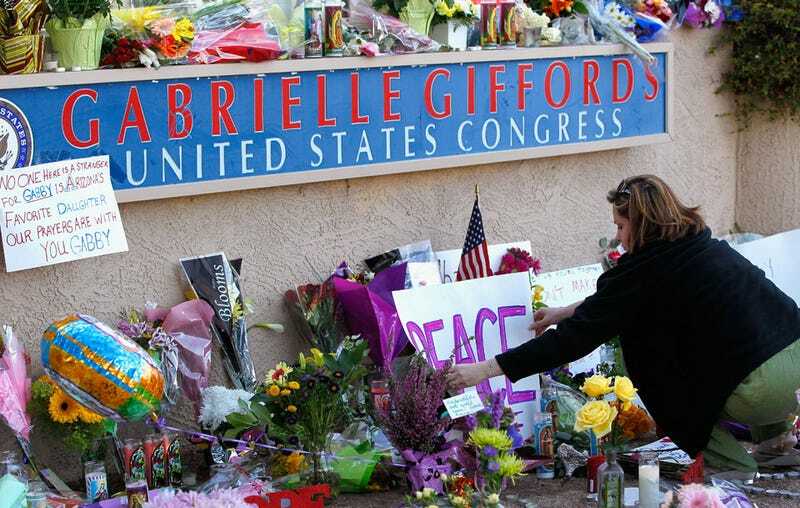 The shooting of a member of Congress cannot be divorced from political themes. The phony debates that we're hearing are the prices we also pay for a society free to have them in public. This one, at least, is not our battle. For once. Have You Ever Stopped Gaming?